The launch of Germany's Operation Barbarossa in June 1941 posed a dilemma for the relatively young nation of Finland. 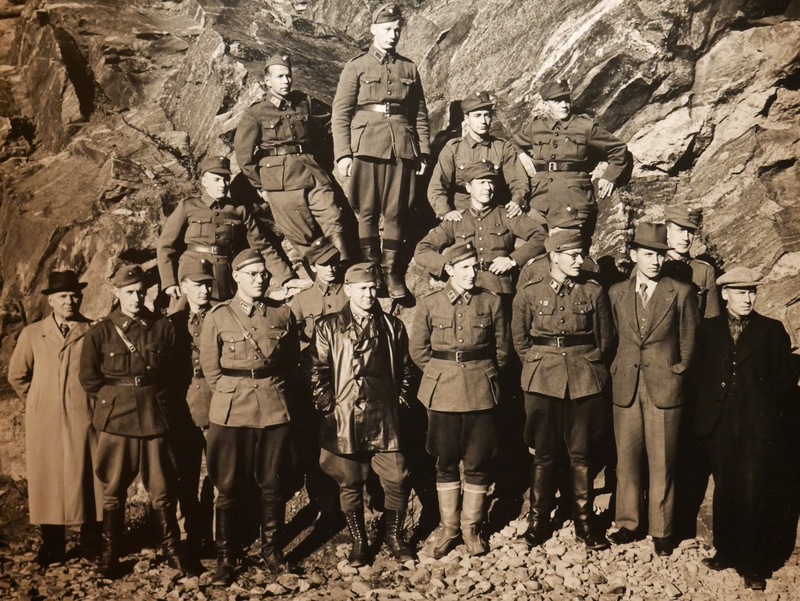 The 1939-40 Winter War had left a painful legacy despite the fact that the Finnish Army had fought incredibly well against an invading Soviet army which had eventually triumphed through the deployment of overwhelming numbers of men and material. Finnish Karelia had been ceded to the USSR at the end of what had been a bitter struggle. 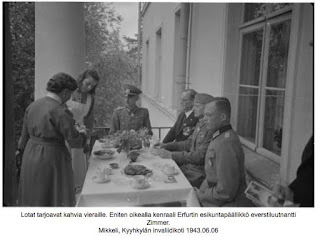 The modern day and almost universally accepted narrative is that Finland's alliance with Nazi Germany was a pragmatic 'marriage of convenience' and that the Finnish Army's sole objective was to reoccupy land lost during the Winter War. Some historians have questioned this and describe the approach taken at the time as something more akin to 'wait and see'. It remains unclear as to whether Finland would have pushed into Leningrad from the North or cut the vital Murmansk to Moscow railway in the East had the Axis forces maintained momentum and succeeded in their war aims i.e. the creation of a 'Greater Germany' with an Eastern border anchored on the Urals. My personal view is that a limited war was probably the default option BUT that had Barbarossa been more successful then Finland's territorial ambition might well have grown. 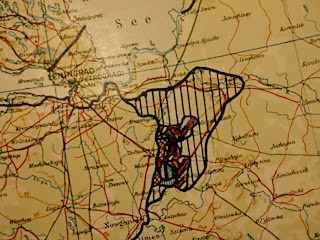 With this in mind the series of maps in the old Ops Room in the Mannerheim's wartime headquarters in the old Elementary School in Mikkeli give a fascinating insight into how closely the progress of Heeresgruppe Nord was being monitored. 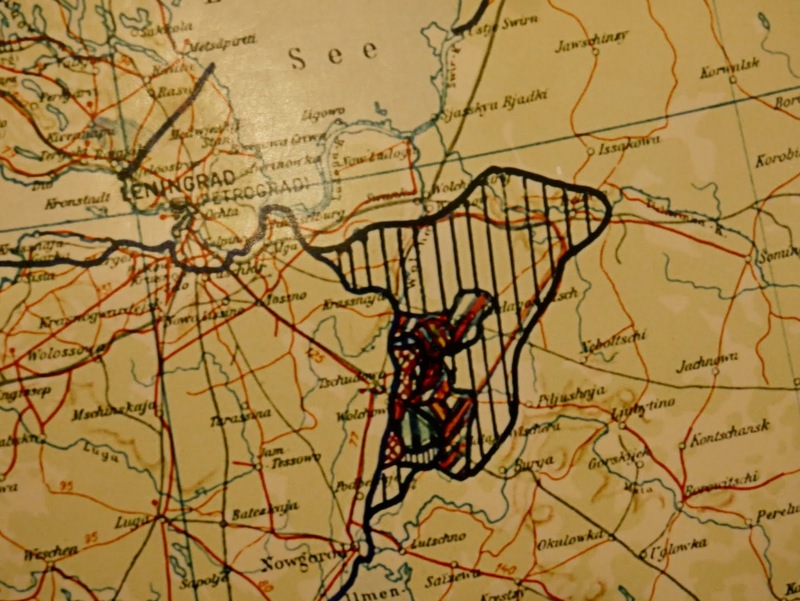 Every week the various maps were overdrawn with colour coded areas to denote 'progress' being made. One can almost sense the tension that would have been in the room as the attacking forces began to falter in late 1941. 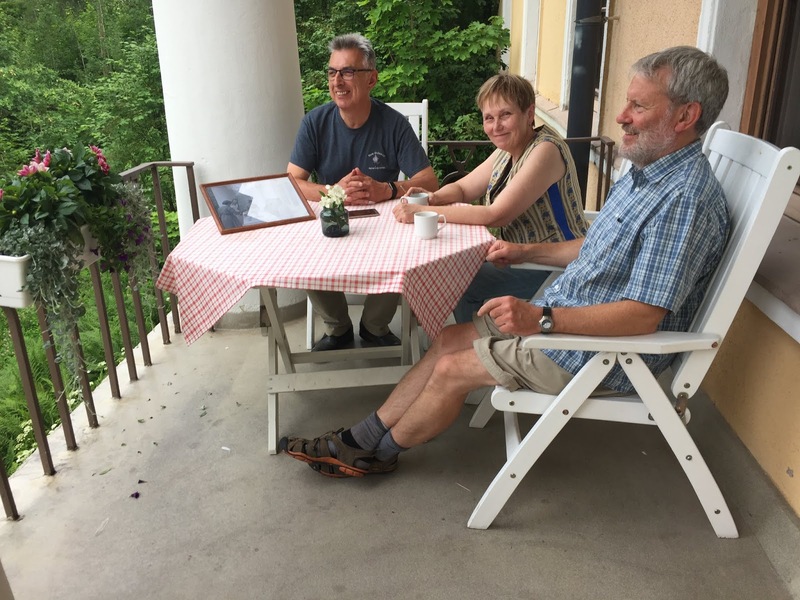 Just around the corner from the building that housed Mannerheim's wartime headquarters, the site of the associated military communications centre has been carefully restored. 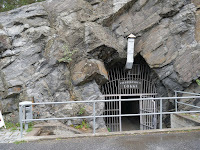 The 'Lokki' complex is located in a cave quarried into the Naisvuori Hill. The Centre was made up of HQ Comms, the Air Surveillance District Centre, a German Signals Station and various facilities for the personnel. 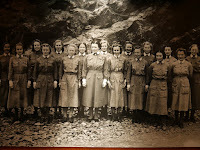 Whilst visiting we met an elderly lady who had worked in the centre in 1944. She told of us of the tense but businesslike atmosphere in the HQ during those difficult times. 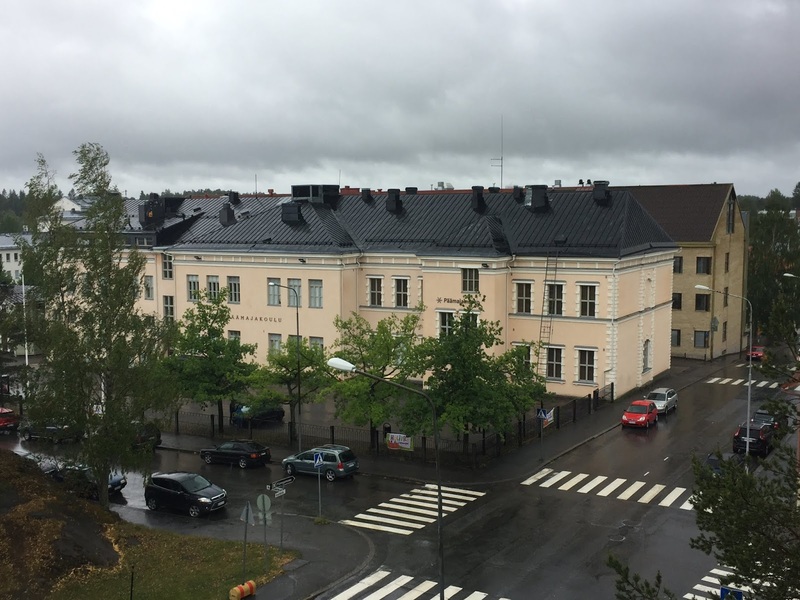 The Lokki (in English: Seagull) communication hub became operational when the Headquarters of the Finnish Army was transferred to Mikkeli as the result of an order issued 24th June 1941 (four days after Barbarossa was launched). 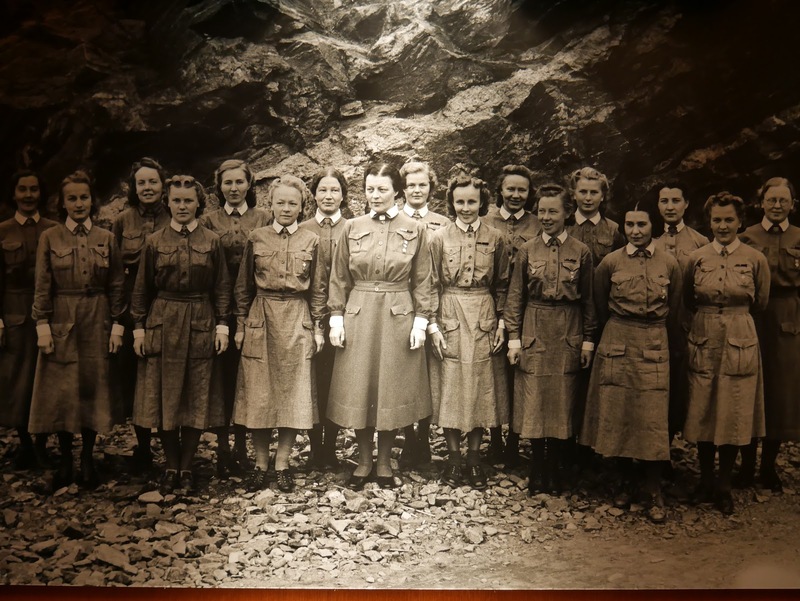 The staff cohort consisted of between 100 and 130 people, mainly members of the Women's Auxiliary Service. It operated 24/7 on a three shift system. The telephone exchange, which was located at the back of the cave had three hundred subscribers and sixty long distance lines. 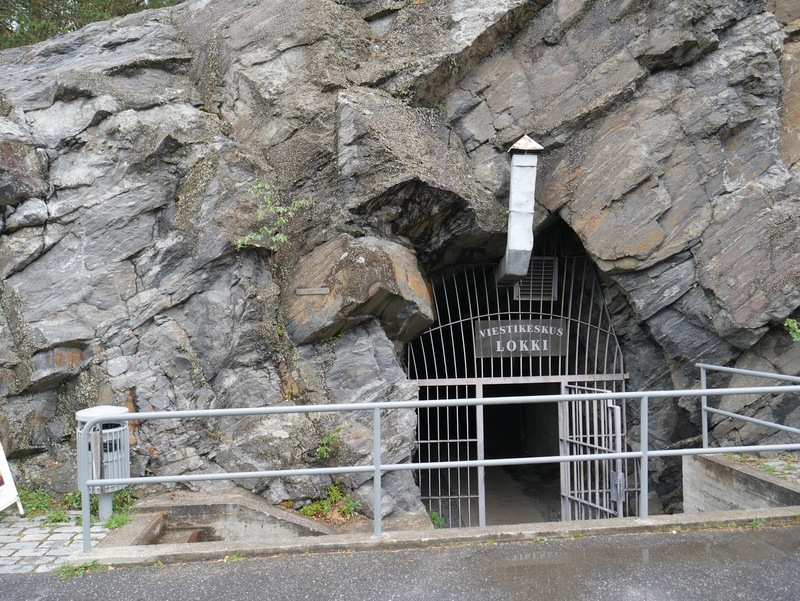 After the war the cave complex was used by the Finnish Army for a number of years and the last cable terminals were removed in the 1960s. During the following years the complex we neglected and fell into decay. In the late 1980s restoration was discussed and after the replacement of rotten timbers and a careful restoration of the interior features the rebuilt Communications Centre was officially opened on the 4th December 1995. 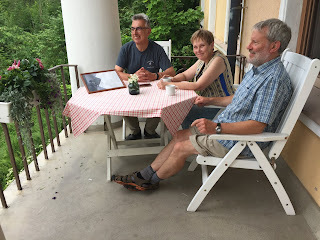 During our visit in Mikkeli we stayed at the nearby Kyyhkyla Kartano. 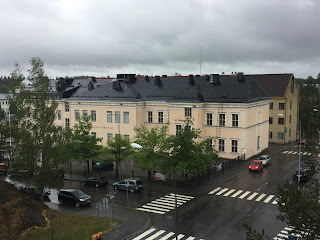 This historic building - now a hotel - was converted into a rehabilitation facility by the Association of Finnish civil War Veterans in 1927. 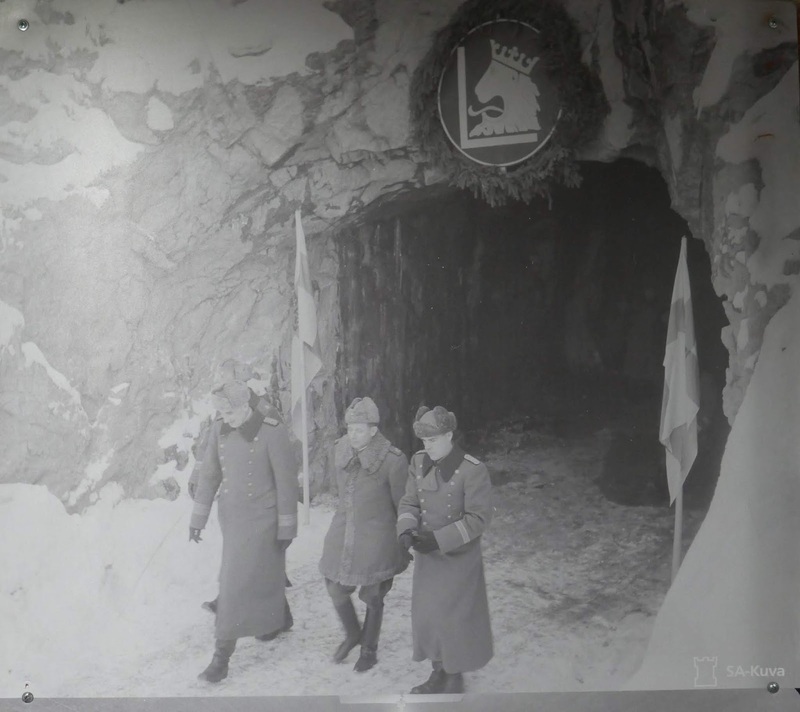 During the Winter War it was retained by the military authorities as a place of respite for recovering soldiers and as a convenient meeting venue for senior military personnel - including German liaison officers. In the restaurant we discovered a war time photograph taken on the 6th June 1943 and by pure coincidence we uncovered the exact spot where it was taken whilst relaxing after dinner. The photograph above shows General der Infanterie Waldermur Erfurth (German Liaison Officer to the Finns 1941-44) at the head of the table. 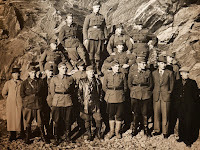 The man in the civilian suit with decorations is Onni Nisonen, the Director of the Sanatorium, the Finnish officer is Major General Verner Gustafsson, Chief Attendant of the Finnish Forces and the other German officer is Obersleutnant Zimmer (Thanks to Mikko Härmeinen for the identifications). 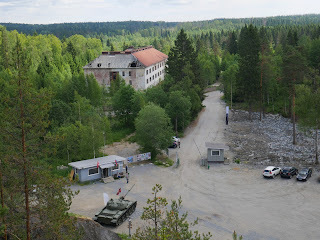 The garrison town of Lahdenpojha, which is located near to a natural harbour in the northern part of Lake Ladoga, was established in the 1930s as a base for the Viipuri Regiment of the Finnish Army. In addition to infantry barracks there was a sniper school and a tank training facility. The town is now located in the Republic of Karelia, Russia. 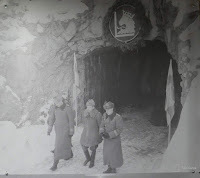 In 1943, as the likelihood of a full scale Soviet offensive increased a huge underground command and control bunker was built into the Gora Filina cliff. 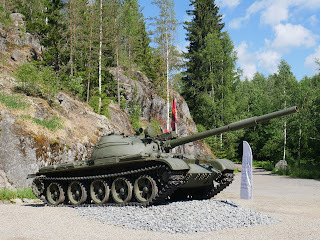 It was originally occupied by the Finnish Laatokka Coastal Brigade (Laatokan Rannikkoprikaati). 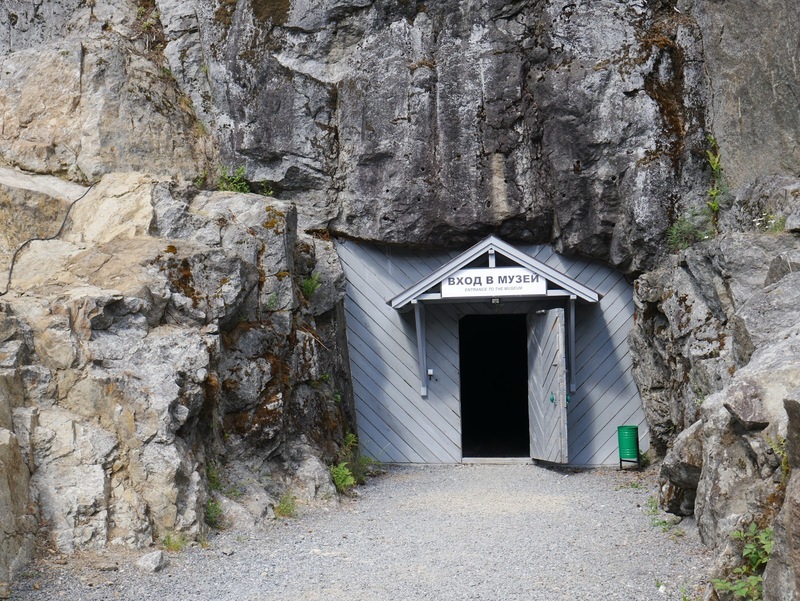 The bunker was built out of a natural grotto and has an inner floor area of 750 square metres and a ceiling height of four metres. All necessary facilities were incorporated into the construction - electricity, water supply, communications, heating, ventilation and vehicular access. 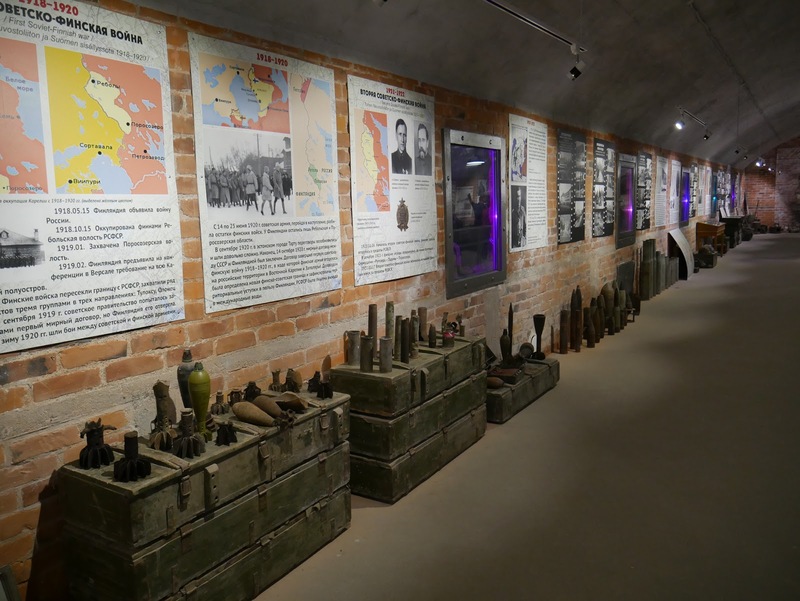 The bunker complex is now a popular tourist attraction and the two main areas have been converted into exhibition halls. The first is concerned with the military history of the Winter War and what Russians call 'The Great Patriotic War'. The collection of artefacts, photographs and papers offer some fascinating insights into the impact of these wars on this corner of relatively remote Karelia. I was surprised to find that Italian MAS motor torpedo boats (MTBs) were transported to Lahdenpohja Bay in 1942 for use on Lake Ladoga as part of the German Nordlicht operation against the besieged city of Leningrad. The second hall is devoted to the geology of the area. Outside there is a path and steps which lead up to the top of the mountain. 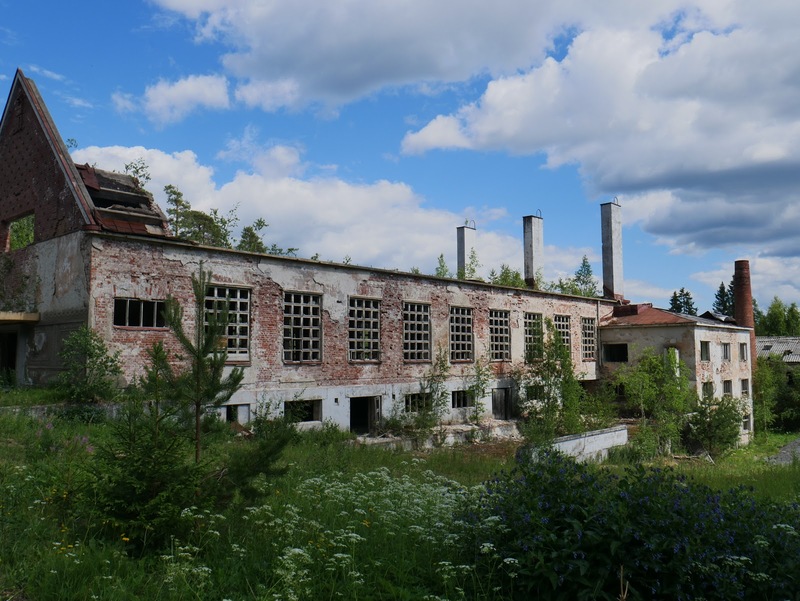 It's perhaps a ten minute walk and offers a spectacular view of the old barrack blocks, the town and Lake Ladoga beyond. It was here that the local defences were centred - anti-aircraft guns and smaller machine guns to protect the perimeter. 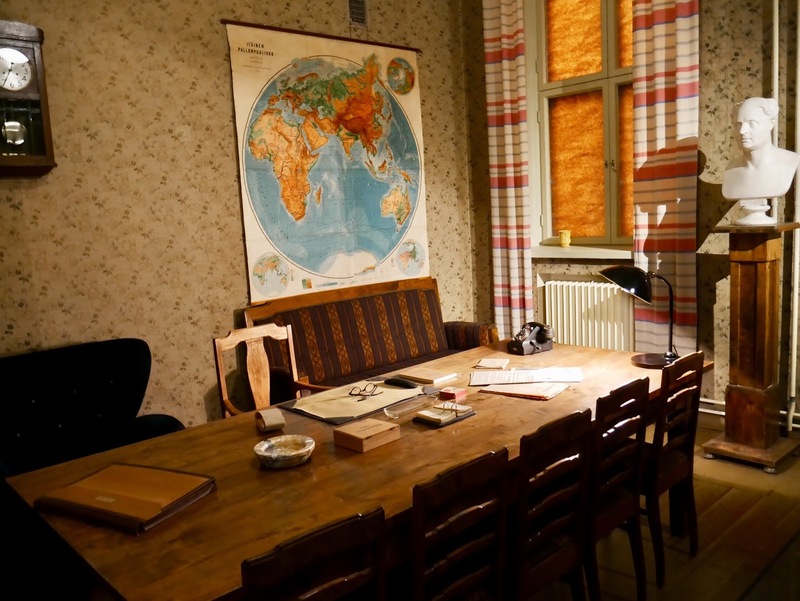 The bunker was most heavily used from 5 March 1944 until 19 September 1944 when the Finns signed an armistice agreement and withdrew from the area - taking most of their important documents with them. The complex was decommissioned in the 1990s and founded as a museum heritage site in 2015. The declared 'mission' of the museum is to remind visitors of the importance of maintaining peace between Finland and Russia. There are some interesting walking routes around the old military garrison - and we weren't put off by a sign that said, in English, "To keep indoors for a protection. Dangerously for life!" sic. 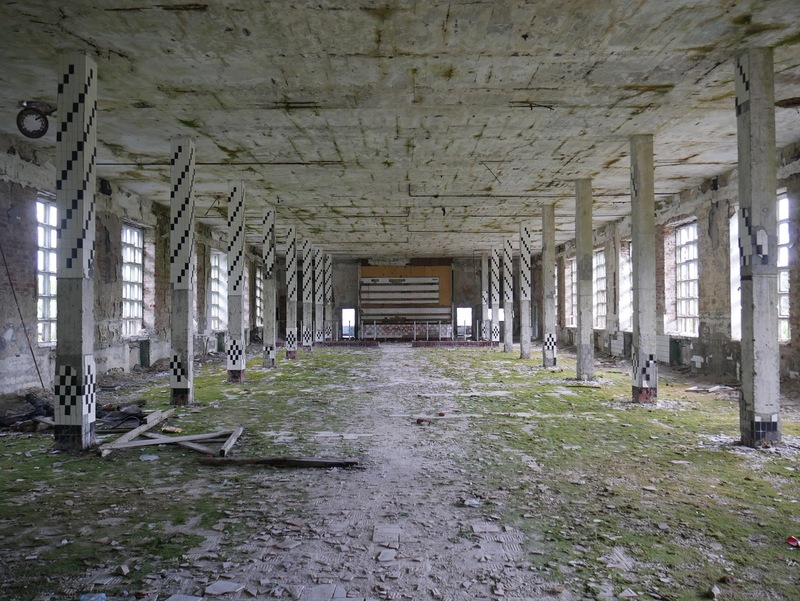 The barracks were occupied in Soviet times but are now in a state of disrepair - apart from one where there is evidence of an attempt to turn it into a resort or hotel. 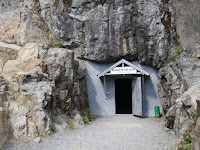 There is a communication tunnel from Owl Mountain to the administration building nearby but unfortunately we failed to get access. 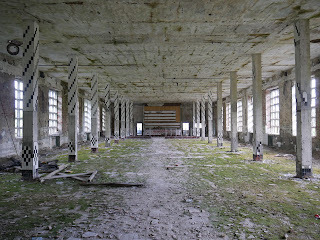 Nowadays the decaying buildings and surrounding spaces are frequently used by film makers. I'm not familiar with the movies in question but the more popular ones are apparently 'Mine', 'Golden Rush', Survive at all Costs', 'Pirahyna Trace' and the Finnish 'Headache'. Click here to see my Owl Mountain Flickr collection.